Generally, my breakfast is on the table by 7:45 am but those sometimes when I get up late and when there is no fruit cutting to keep hubby dear busy then he starts opening all the tins for snacking. So now this is one bar that will stall the snacking …hopefully for the tin is alarmingly half already and we cut these bars in the morning. 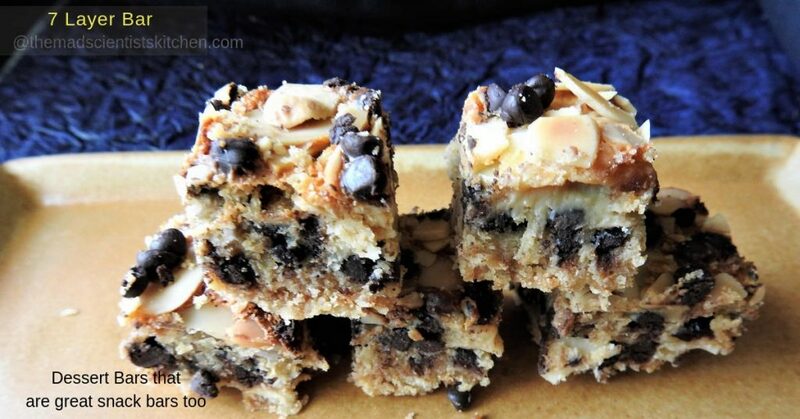 Magic bars or seven layer cookie bars as they are also called are dessert bars made in different flavours in the USA. 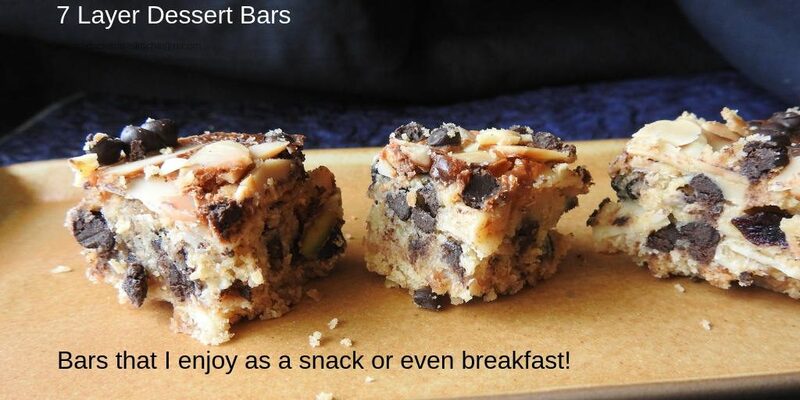 These bars were suggested by my SIL Pooja apparently she makes them on a regular basis and they enjoy it a lot. It is such a simple recipe and absolutely can be made in 2-3 bowls. Do try them out but mind you they are extremely addictive and even as I type this recipe out I am tempted to get some for myself. Now the number of bars you can get depends on the size you make. Small squares or big rectangles I think I got 15-20 rectangle pieces. The nuts and chocolate chops are what I have used but you can use what you have at hand. try using truti fruti, raisins, dry figs… the options are endless. I have to thank all my bake-a-ton members for bearing with my erratic schedule and posts. I have looked at pictures and then tried to match the recipes luckily my rusty brains remembered where I copied from and what I have done. But it is too hectic and no enjoyment I would rather not do it again. I am yet to see what my friends have dished out. But having said that I am happy that I posted for all the committed days where every day I expected to say I cannot do it! Grease and line a 9-inch pan. Melt the butter and pour in the pan. Add the crushed digestive biscuits and press into butter to form a compact layer. Mix together the nuts, cranberries, chocolate chips and the coconut. Layer on the biscuit layer and smoothen it out. Pour all the condensed milk on the mixture. Sprinkle the chocolate chips and nuts on the condensed milk layer. Bake at 180 degrees Celsius for 35 minutes. Cool on wire rack then slice and serve. You can also store in an air-tight container. 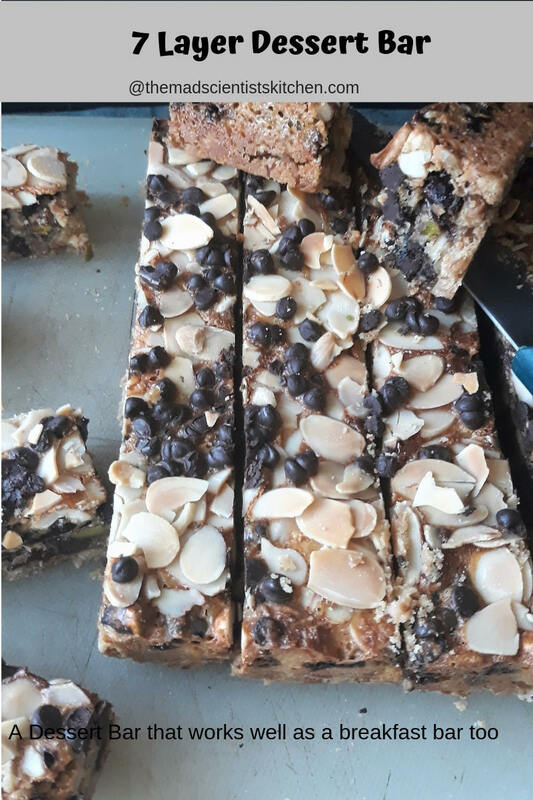 i had seen these as no-bake bars on many blogs, but baking them gives them a wonderful hue 🙂 lovely end to the Bakeathon, Arch ! and so happy to see you posted inspite of your crazy , demanding schedule! True Kalyani it feels like an achievement. 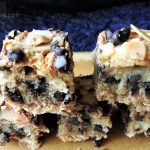 I made similar magic cookie bars and absolutely loved how easy and how delicious they turned out. Love your version with dried fruit – will have to try this out next time. Will love to try your method Pavani. Will check it out. The bars look so nutritious with the so many different nuts and this such a simple and easy recipe with loads of flavors!! I really want to try these! Looks like something to carry for picnics and get togethers… Looks so delicious! This is too much Archana, how delicious and absolutely terrific, i dont mind munching some rite now.. Too tempting bars there. I have made this year’s before and so I know how addictive they are. They look awesome Archana and kudos to you for completing this event. Your version of the bars looks awesome. 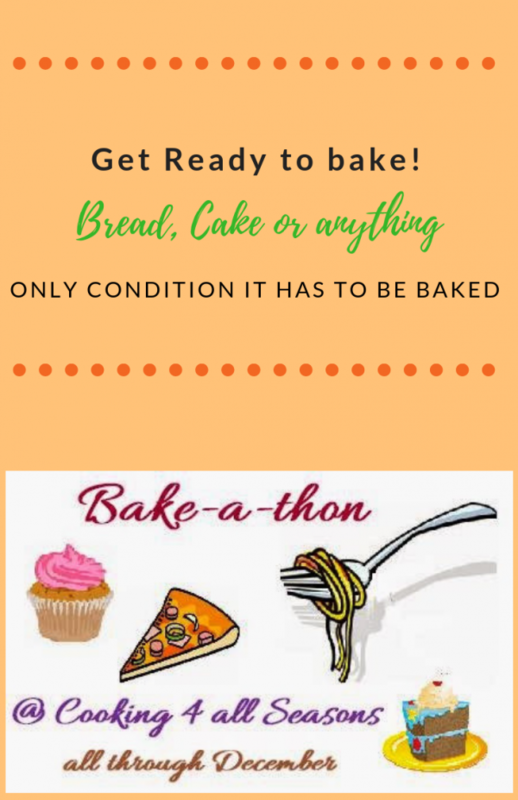 You have posted some very unique recipes this bakethon. Enjoyed your posts. These bars look amazing Arch, how I wish I could grab them right off…I enjoyed your erratic and random posts hehehe..kidding ok, however, its really good that you have managed to pull this off and get back to blogging. Looking forward to more this year! LOL! Valli. Thanks but it was too hectic Valli but glad you liked it. The bars look awesome ! The recipe seems simple , and attractive . Bookmarking it to make soon . Do you need to chop all the nuts ? No not at all Vaishali they are good unchopped too. Wow! That’s a 7 layer dessert but sounds so easy to make. And nutritious breakfast. Wow now that looks like a healthy sever layer bar with all that goes in it. Perfect bake. I have a pack of biscuits calling attention, wheras kiddos wont even touch it, i might use them making these bars, love all the ingredient gone into this! Looks hearty arch!! A bar or 2 would easily make up for breakfast! Nice share! And your lunch Priya. They are too filling. But glad you like them.